Okay so first of all, while I was reading the series I kept seeing the Diablo III game commercial which has some kind of reaper in it. So I kept picturing the reapers as looking like that game looks which is really creepy. I would not want to tangle with them. 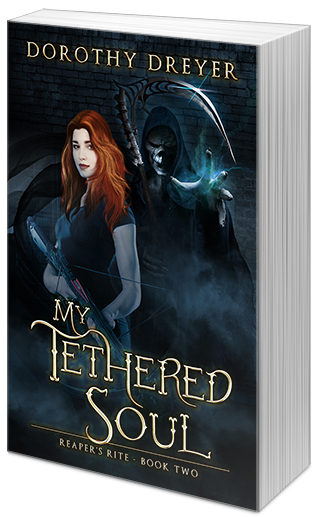 My Tethered Soul picks up almost a year after My Sister’s Reaper takes place. We actually rejoin the story on Zadie’s seventeenth birthday, which is a monumental day for Vilas. After defeating Mara’s reaper Zadie is now faced with having to deal with her own but things get a little bit more complicated when you are dealing with a family of vilas. The pacing of the story was perfect. There was not a single time that I felt the story was lagging. I was completely engrossed the entire time. There was always some kind of action going on that made sense and supported the plot points. I loved how there was a little more woven into this story then the first novel and we get to explore some different areas of the witch/fairy lines. I love the world of witches, fairies, vila and cations. I like how everything fits together. Even the Reapers, although they really creep me out. The idea that something can take control of you and make you perform awful things is unsettling. It however made the parts of the book that needed to be creepy feel really creepy. I love books that have characters that move around more like a unit. It was great that Zadie has such a strong relationship with her sister Mara, which allows them to rely on one another. I also love Gavin and his sweet relationship with Zadie. Even though Chase kind of presents a love triangle it’s not really your typical one. It was hardly noticeable honestly. There was no angsty drawn out mixed up emotions going on. In fact Gavin and Chase often got along really well even if they had their periodic Zadie moments. 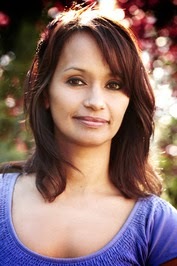 There is also Naomi who is an awesome best friend and adds some fun to the story. Of course Danny, who poor guy seems to end up get towed around. I also love the appearance of Hunter because he added a different element to the story. That edgy fun for one of our characters. Overall I really enjoyed My Tethered Soul and even though I enjoyed the first book, I think the story only gets even better with this one. I really liked the plot and thought that it fell together so nicely. Plus the pacing and characters are great in the story. It’s an excellent read if you are looking for something paranormal but a little different.